I think it is safe to say that Spring has officially sprung here in South Florida. The sun is shining, the breeze is blowing and fresh flowers and fruit are everywhere. 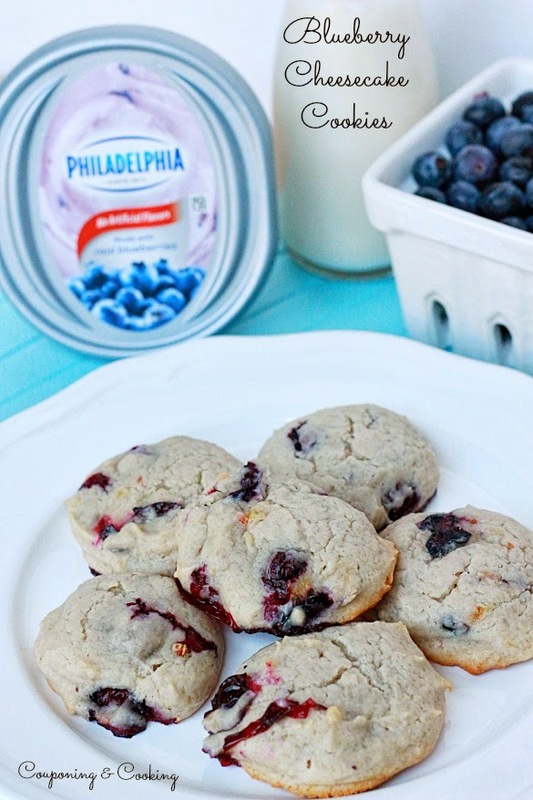 With all the amazing spring produce in stores, I was inspired to whip up some amazing Blueberry Cheesecake Cookies made with fresh blueberries and Philadelphia Blueberry Cream Cheese. These cookies are the spring time version of a family favorite: my Pumpkin Chocolate Chip Cheesecake Cookies that I usually make in the fall. 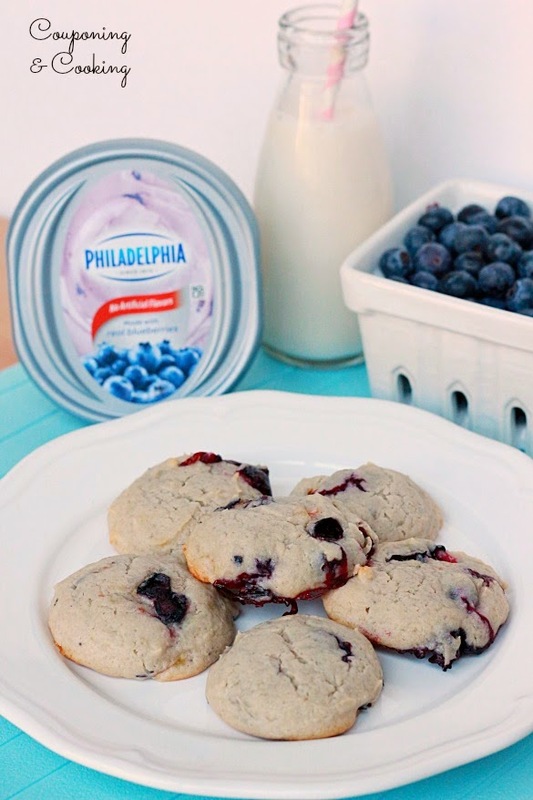 When I saw Philadelphia's Blueberry Cream Cheese made with more real fruit at Walmart this past week, I knew it was time for those cookies to be reborn with a fresher take. You can eat these by themselves or you can sandwich some Cool Whip mixed with fresh blueberries in between them for a fun and refreshing treat after a day outside enjoying the warmer weather. 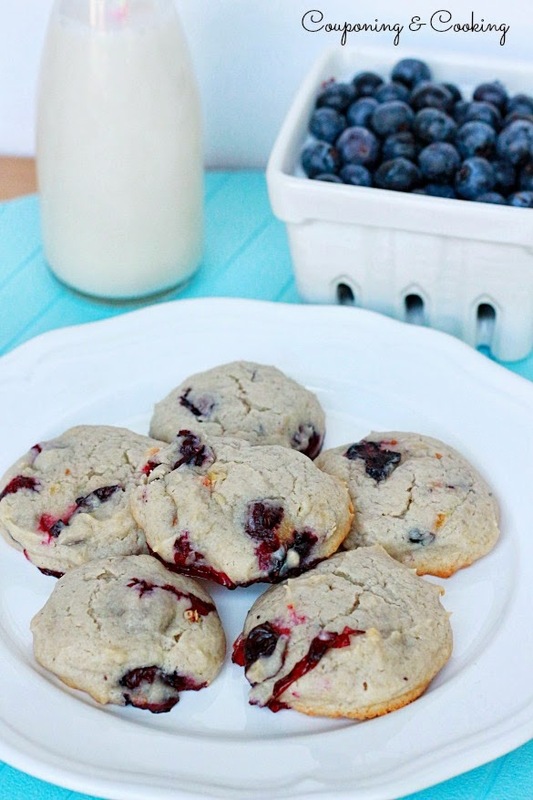 I love that I could incorporate some fruit into a cookie recipe because I always feel a dessert with fruit in it is a little bit better for you than one without. 1.) Beat together butter, cream cheese, egg, sugar and vanilla until smooth. 2.) Mix together the rest of the dry ingredients (except blueberries). 3.) Slowly add and beat in dry ingredients mixing only until fully incorporated. 4.) Stir in cup of blueberries. 5.) Using a rounded cookie scoop, place scoops of dough onto a lined cookie sheet and bake at 350 degrees for 10-12 minutes. 6.) 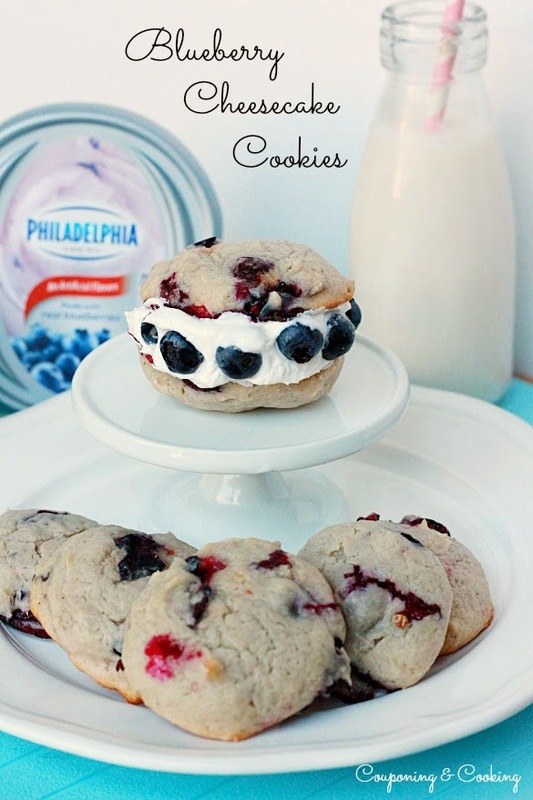 For a fun twist, spread Lite Cool Whip mixed with fresh blueberries between to cookies. Enjoy!